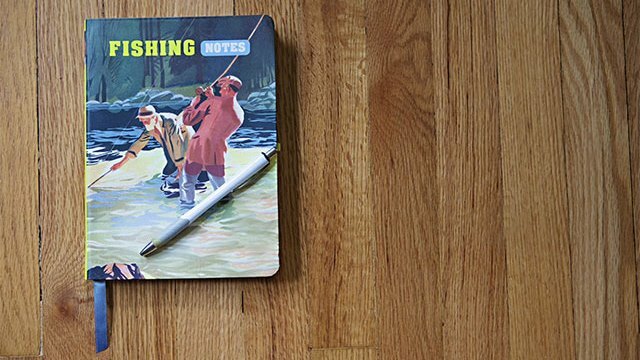 Keeping a detailed log of your fishing trips is a good practice. I have trouble remembering things, so if anything, keeping a log helps me remember what happened on a trip so I can reference that information on the fly later. As a general rule, I include the body of water, date, weather conditions, water clarity/temperature and what the fish were doing. I also try to include what didn’t work on that particular day; that information is just as important as what did work. Going through your old logs can give you a point of a reference as to what the fish might be doing that time of year on that particular body of water. This obviously doesn’t mean you’ll be able to replicate success you had on a similar day, but it can certainly help point you the right direction. Give this hack a try, and I think it will help improve your fishing in the long run.